A short clip of McNeal Briguela aka Aura on the runway immediately became viral on social media this weekend. He modeled for Metro Department Store in Market! Market! Taguig. Aura first caught the attention of the public with his short skits on Youtube. 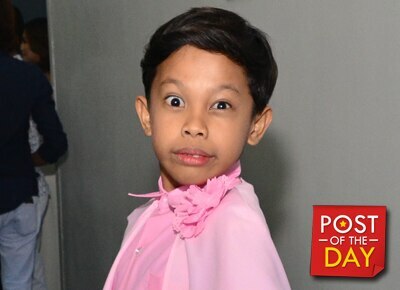 After his videos went viral he became part of the series Ang Probinsyano. He portrays the role of Mak Mak, a young closet gay that soon revealed his real identity to Cardo’s (Coco Martin) family, who openly accepted him for what he is.